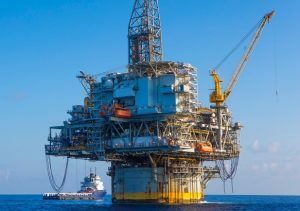 BHP Billiton will spend US$2.2 billion for its share of the development of the Mad Dog Phase 2 project in the Gulf of Mexico. Located in the Green Canyon area, roughly 320km south of New Orleans, Mad Dog Phase 2 is a southern and southwestern extension of the existing Mad Dog field. The project includes a new floating production facility with the capacity to produce up to 140,000 gross barrels of crude oil per day from up to 14 production wells. Steve Pastor, BHP Billiton President Operations Petroleum, said Mad Dog Phase 2 was one of the largest, discovered and undeveloped resources in the Gulf of Mexico, one of BHP Billiton’s preferred conventional deep-water basins. “It offers an attractive investment opportunity for BHP Billiton and aligns with our strategic objective to build our conventional portfolio through the development of large, long-life, high-quality resources.” Mr Pastor added. BHP Billiton holds a 23.9% participating interest in the Mad Dog field. Project operator BP holds a 60.5% interest, while Union Oil Company of California – an affiliate of Chevron USA Inc. – holds the remaining 15.6%. According to BHP Billiton, production is expected to begin in the 2022 financial year.